Can buildings be too young to save? It’s possible to love a city without loving all its buildings. That’s a lucky thing for Boston, where some of the most notable works of architecture since the 1960s are also the most loathed. There are the looming twin towers of the JFK Federal Building (1966), the forbidding 1972 addition to the Central Library, the dementedly Seussian Stata Center at MIT (2004), and the Government Service Center (1971), an aggressive concrete behemoth designed by star architect Paul Rudolph. 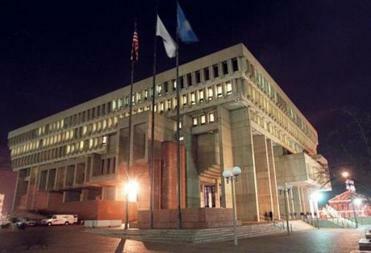 And of course there’s City Hall, finished in 1968, which has been called the ugliest building in the world. 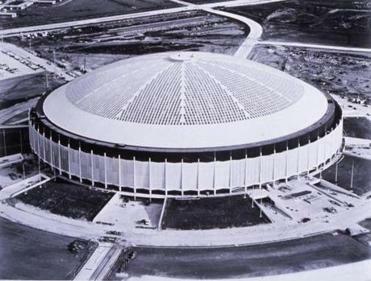 There’s a reason it’s a struggle to save buildings like the Astrodome. They were built less than 50 years ago, the usual cutoff for inclusion on the government’s National Register of Historic Places, which means they are much less likely to be formally recognized as historic resources. Increasingly, though, it’s relatively young buildings like these, from the 1960s, the ’70s, and even the ’80s, that preservationists are fighting to save. And in doing so, they are having to confront a tough question: What does tomorrow’s historic architecture look like? In many cases, preservationists are fighting a battle against contemporary taste: To the average person, newer buildings often don’t look special, just ugly, or at best unremarkable. “It’s always been true that it’s hard to rally the community to get support for younger buildings,” said Vince Michael, executive director of the Global Heritage Fund, who has written about preserving the recent past. It can take decades for a distinctive building to look like something worth saving. “I remember buildings I saw in the ’70s and ’80s that I knew were ugly,” Michael said. “Then I saw them again around 1995 and they weren’t ugly anymore, and they hadn’t changed.” The only thing that had changed was his own judgment. Pennsylvania Station was built in 1910. That phenomenon has led to losses that in hindsight are glaringly obvious and tragic. Today, the demolition of New York’s original Pennsylvania Station, a Beaux-Arts masterpiece built in 1910, is almost universally considered foolish. The 50th anniversary of its razing was marked this year by widespread lamentation: Essentially, how could we not have known better? Perhaps the better question is whether we’re making the same mistakes now. 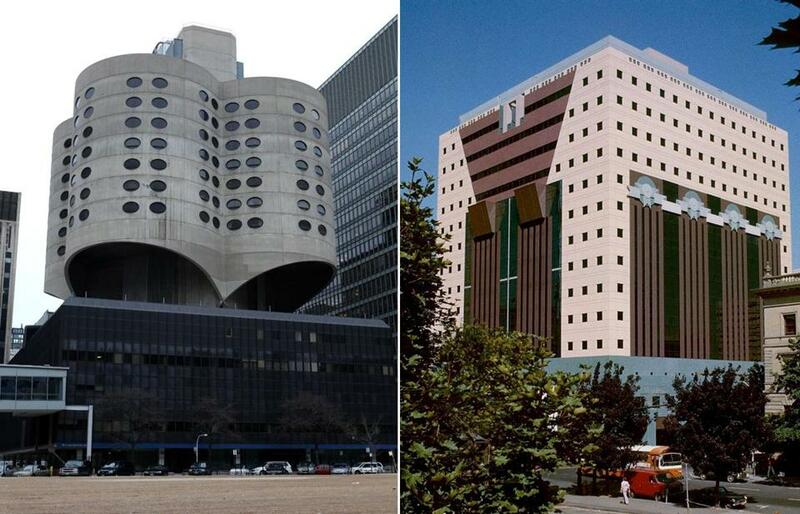 In Chicago in October, crews began to dismantle the Prentice Women’s Hospital after pleas from advocates including Frank Gehry failed to save it; the concrete, clover-shaped building was designed by Chicago architect Bertrand Goldberg and built in 1975. Though local preservationists countered that the building could be adapted as a laboratory, an apartment building, or an office tower, the building’s owner, Northwestern University, said it needed the space to build a large modern research facility. It’s easy to smear owners and developers as greedy ingrates who don’t appreciate the architectural gems they’re destroying. But as the United States enters a new period of urbanization, with the proportion of Americans living in cities growing fast, it’s not feasible to expect that we save all the buildings in a city forever. We may be nostalgic for the past, but if Boston had saved every beautiful brick Georgian building it once had, it couldn’t have become the Boston it is today. If we can’t save it all, the question is how we know what will be beautiful in the future—and what the people of 2063 will have wanted us to keep for them. 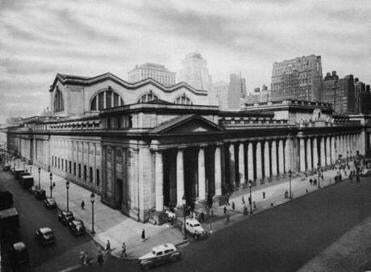 Will City Hall and the Prentice Women’s Hospital someday look as glamorous as old photos of Penn Station look today? 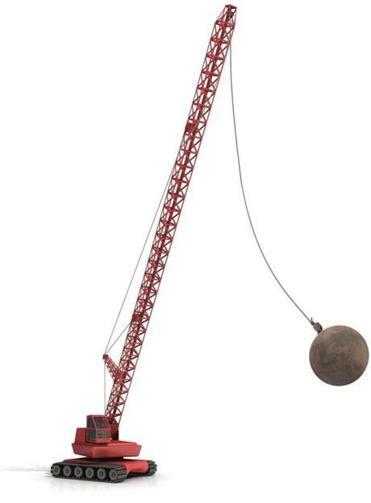 If we know from experience that our parents’ construction is likely to look better to our children than it does to us, how can we trust our own judgments when it comes to figuring out when to value preservation, and when to bow to progress? What, in the end, makes a building worth saving? ‘Everyone thinks that the architecture, decorative arts, costumes and similar products of their immediate predecessors are hideous,” the president of the National Trust for Historic Preservation, Richard Howland, wrote in 1957. At the time, he was boldly rising to the defense of Victorian architecture, which had been widely reviled for decades as tacky and overwrought. Time, of course, has turned the Victorian style into tastefulness itself. This is a pattern that has been repeated over and over: Art Deco was rediscovered in the 1970s, and Mid-Century Modernism has become mainstream chic in the early 21st century. Major architectural styles move through predictable cycles, from cutting-edge to conventional to declassé to cool again. In the push-and-pull between change and continuity, preservationists find it relatively easy to protect things that please the contemporary eye, like Colonial meeting houses or Gothic Revival churches. But when the buildings in question are out of style, they become much harder to save. But cities do need to be able to tear down old buildings in order to grow. As Harvard economist Edward Glaeser argued in his 2011 book, “Triumph of the City,” too much preservation means cities can’t construct the newer, better, taller buildings they need—or accommodate residents other than the super-rich. Paris, he points out, prizes preservation so highly that it’s essentially impossible to build the housing that would allow a middle-income family to afford to live in the central part of the city. Since even the staunchest preservationist would concede that we can’t save everything, the question becomes which buildings are worth fighting for. In hindsight, our ancestors’ mistakes seem obvious: Just as New York lost Penn Station, Boston lost Scollay Square and low-rise West End neighborhoods to aggressive “urban renewal” projects in the 1950s and 1960s that many now regret. Part of the challenge for people who care about younger buildings is that there’s not a single agreed-upon architectural story for the last few decades. “The first step is people have to come up with a way of talking about the buildings of the ’70s and ’80s, the trends and styles and types,” Michael said. Not many examples of Postmodernism, the showy style that the Portland Building epitomizes, have actually been built. Other disparate trends in recent decades include the boxy glass skyscrapers of the 1970s and ’80s, the computer-aided curves of architects like Frank Gehry, and a more earnest traditionalism espoused by architects like Robert A.M. Stern. It’s not unusual that we haven’t yet pinned down late 20th-century style, as Michael points out: “Gothic” was a derisive term coined in the Renaissance, and the various Victorian periods were only named in the 1960s and 1970s. If preservationists worried about saving young buildings have some hope for the future, it’s that their most passionate allies tend to be similarly young people. The Recent Past Preservation Network, which takes on projects initiated by local communities, finds that most of the people starting preservation conversations about younger buildings are in their 20s and early 30s. “There is a bit of sense from this generation, maybe 40 and under, that says, ‘We’ve seen these unique places and you’re blind to it,’” Aaron Marcavitch, the group’s interim president, said. Docomomo, an international nonprofit that has been advocating to preserve Modernist buildings since the 1980s, took a vote this year on whether the group should also be advocating for Postmodernism. “There was a pretty clear line,” Meijer said. “If you were in your late 20s and early 30s, you said yes, and if you were older than that, you said absolutely not.” As those twenty and thirtysomethings come into power over the next couple decades, they’ll become the tastemakers who decide what to preserve. By the 2030s, say, what we currently think of as monstrosities, like our clunky City Hall and the garish Portland Building, may look elegant, the way grand Victorian homes look today. Only by leaving some of our “ugly” buildings standing, after all, will we give our descendants the chance to embrace them. To destroy them now is to gamble on their agreeing with us—and we know, from experience, that aesthetics tend not to work this way over time.